The latest in this series of leaks is a video which showcases the renders of OnePlus 6T in a 360-degree view. The device is expected to be launched sometime in the middle of October. The rumour mill has been churning out leaks and reports about the OnePlus 6T since the launch of OnePlus 6 back in May. Not much remains under covers about the device, and new reports still keep coming. The latest in this series of leaks is a video which showcases the renders of OnePlus 6T in a 360-degree view. The device is expected to be launched sometime in the middle of October. The video confirms a lot that has already surfaced in earlier leaks. The front shows a 6.4-inch screen with ales-intrusive waterdrop notch on top. The design has been seen on several Oppo and Vivo smartphones of late and allows for a lot more screen real estate than the conventional notch. The back shows a glossy finish with dual camera setup and the OnePlus logo underneath it. This could be a nod to reports that the OnePlus 6T is coming with an in-display fingerprint scanner. Leaked images of the retail box of OnePlus 6T also showed that the device will come with an underscreen fingerprint sensor. A teaser featuring Amitabh Bachchan also indicated towards the same feature. 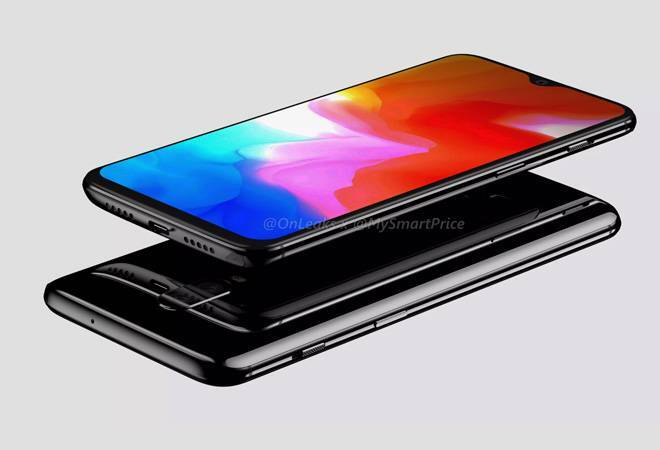 In the renders, the upcoming OnePlus flagship has no audio jack, a feature which has been present in all earlier devices by the company. This could mean that the OnePlus 6T might be the first truly waterproof smartphone from the Chinese smartphone maker. While OnePlus did manage to make the OnePlus 6 splash-proof, enthusiasts have been waiting for an IP-rated smartphone from the company, given what the competition has been offering. The omission of a 3.5mm audio jack could be a step in this direction. Among other reports about OnePlus 6T seen recently are those about its battery. A leak on Chinese social media platform Weibo stated that the OnePlus 6T will come with 3,700mAh battery, but it will be rated at 3,610mAh. Even though OnePlus and Oppo are part of the same conglomerate, reports suggest that the next device by the former will continue with the Dash Charge, instead of going with the 50W charging solution seen in the Find X Flash Charge Edition by the latter. Other speculated technical specifications of OnePlus 6T include Qualcomm Snapdragon 845 coupled with 6GB or 8GB of RAM. On the internal storage front, the device could come with options between 64GB and 256GB. Also, since the OnePlus 6 recently got the Android 9.0 Pie update, the next flagship by the company could run the latest version of Android OS out of the box.